My name is Anthony Bracy. I love land. For 20+ years, I have been a rice, soybean, and corn producer. 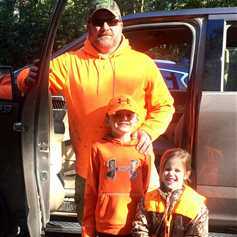 I am also an avid hunter and enjoy taking my children deer hunting and improving our hunting ground. I was born and raised in Jonesboro, Arkansas, and I currently live there with my wife, Courtney Webb-Bracy originally from Marianna, Arkansas, our two children Webb and Maggie, and our Cocker Spaniel, Gus. Let me put my years of experience to work for you to help you find the perfect property that fits your needs.